Sixty miles of ocean view, all the way to the San Luis Obispo county line. You, grilling some steaks on your cliffside patio. Looking over at the hot tub and thinking about later. Then realizing this was all a terrible idea and getting back to the city immediately. Let’s back up, that was really going well for a while. Post House exists, and it’s glorious, and it’s now taking reservations with full and complete understanding of its status as the new most important part of the Post Ranch Inn. What it used to be doesn’t matter. What matters is that it’s a one-bedroom house, except different from other one-bedroom houses that don’t have one side dedicated to the ocean views, and a beating heart that’s dedicated to summoning a private chef who’ll come by to cook up whatever you like, and all those oceanside grilling and hot-tubbing opportunities so recently discussed and so often pondered on weekdays like this. So you’ve got some weekend plans. Good drinks, a movie, grabbing a new shirt. Do that if you want. Sounds great. But it’s these holiday weekends that really make you ponder something more. Never let them tell you not to ponder. 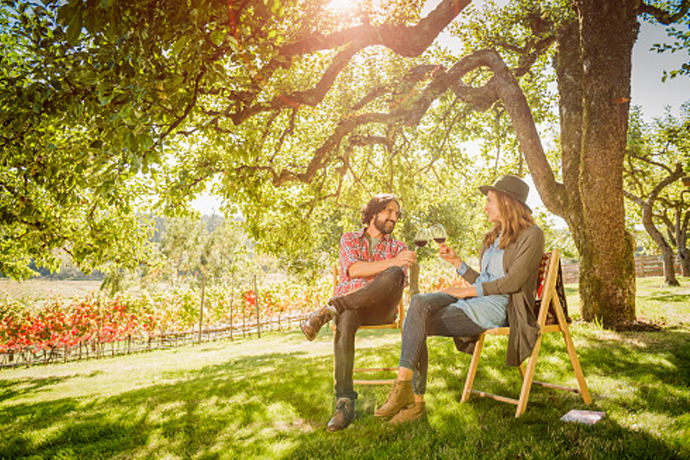 Six of the Best New Reasons to Visit Wine Country. Yes, Beer Is One of Them. A Glass-Walled Tower With Tequila, Steak Frites and Poolside Cabanas. And Beds.